It’s Mid-Week Mailbag time. As usual, we’ve got a little bit of everything this week. “Come for the Iowa State answers, stay for the bathroom habit insights” is quickly becoming the motto around here. cycopath25 (forums) asks: After losing our top 3 scorers from last year to graduation/NBA draft, and Lard set to transfer, can we go ahead and assume that next year will be a rebuilding year? It depends on what your definition of a “rebuilding year” is. My personal expectation is to make the NCAA Tournament every season and I think next year’s roster is still going to have the ability to do that despite the amount of talent that won’t be coming back. 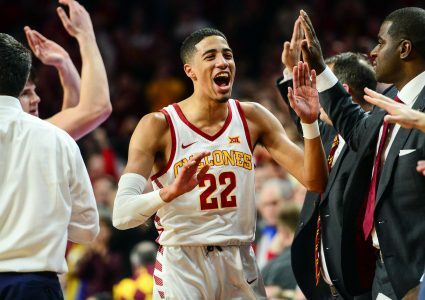 Admittedly, there are a lot of question marks right now and it will be possible to miss the tourney if the team doesn’t come together, but I think Tyrese Haliburton is about as good of a cornerstone building block as a program can get in terms of selflessness/#RightWay traits. Michael Jacobson‘s veteran leadership will be valuable as well. The concern for a lot of people is reverting to where the program was in the 2017-18 season. 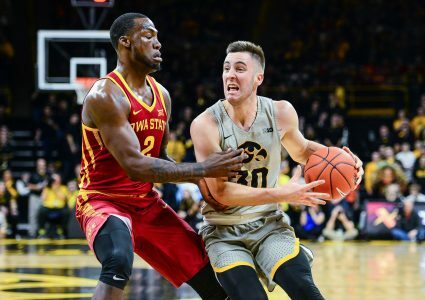 But the difference heading into next year compared to 2017-18 is Haliburton and Jacobson have already been asked to play starter’s minutes on a good Iowa State team. The key returnees for 2017-18 were senior Donovan Jackson, redshirt junior Nick Weiler-Babb, and sophomore Solomon Young. Unless I’m forgetting an odd injury-necessitated scenario, Young was the only one of those three to start a game at ISU and even he split time with Darrell Bowie and Merrill Holden for much of the prior year. There’s a lot of value in having two players who were a heavy part of the rotation back next year, even if they weren’t option A, B, or C on offense. It’s safe to say the Cyclones probably won’t be as talented as they were this year, but I don’t expect they’ll immediately drop to the bottom of the conference standings like some doomsdayers are wailing from their bunker. 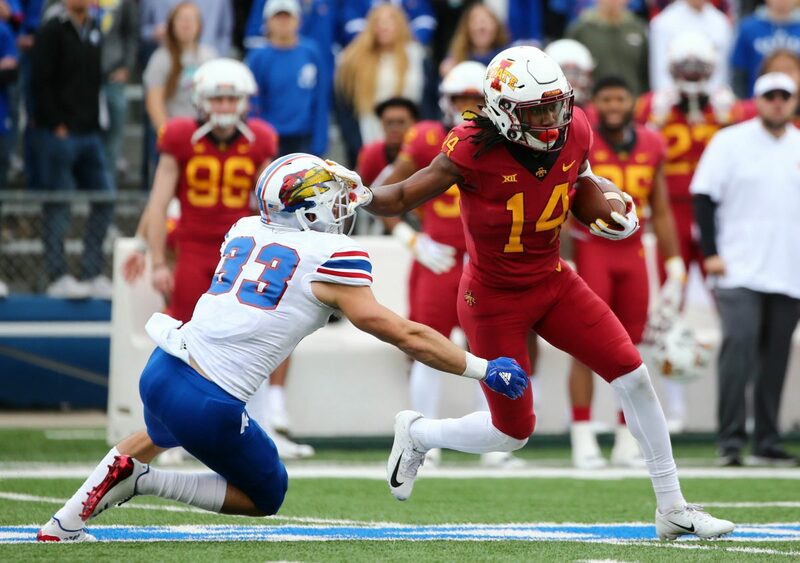 LarryISU (forums) asks: Based on number of receptions, who will be our top 5 receivers next year? 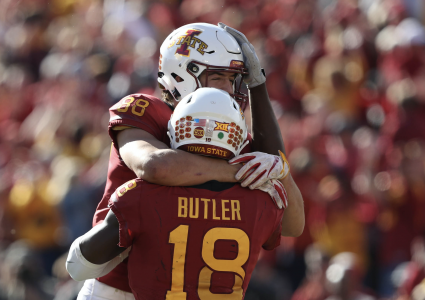 Hope you’re okay with me including tight ends on the list because I think they’ll take on a big portion of the target share that Hakeem Butler and Matt Eaton are leaving behind. 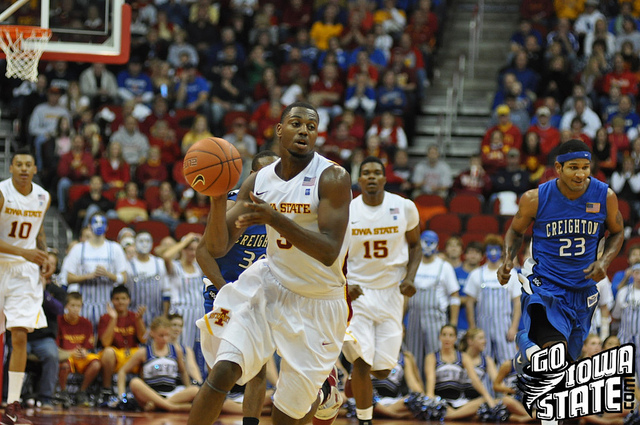 ZZZ (forums) asks: Does Melvin Ejim deserve to have his number in the rafters of Hilton? I think Georges and Monte are locks, but have gone back and forth on Melvin FWIW. Just a few of his numerous accolades include being a four-year player during the heart of the program’s resurrection under Fred Hoiberg, two-time Big 12 Scholar-Athlete of the Year, 2014 Iowa State Male Athlete of the Year, 2014 Big 12 Player of the Year, record-holder for the most points scored in a single game (48) in Big 12 history, and all-around fantastic representative of Iowa State University. Folks, it’s a no-brainer. Melvin Ejim deserves to have his jersey in the rafters. SCyclone (forums) asks: What is the over/under on victories for UCLA next year under new head coach Mick Cronin? Mick Cronin is understandably a guy that most people either love or hate based on his personality. He’s a no-nonsense type of coach and isn’t going to sugarcoat things or tell people what they want to hear if it’s not the truth. However, I don’t think he’s going to work miracles in his first year in Los Angeles. The Bruins went 17-16 this year under Steve Alford (well, at least half a year under Steve Alford) and they may pick up a few more wins next year, but Cronin’s defense-oriented approach is going to take a few years of adjusting until it’s ready to roll. I’ll predict 18 wins for Cronin in his debut season. Might as well root for him to be at least a game better than that weasel Alford. Sigmapolis (forums) asks: Do you think Des Moines will ever have a major professional sports franchise? If so, which sport…? I don’t foresee Des Moines adding a major sports franchise any time in the next 50 years, simply because the “big leagues” rarely expand nowadays and the TV market isn’t big enough to move the needle of executives. But, if I was forced to pick one major sports league that may look at Des Moines eventually, it would be the NHL. I’m not entirely sure how that would work out with the Iowa Wild already being in town, but DSM is close enough to Minnesota/Canada (hockey havens) and the infrastructure for a team (Wells Fargo Arena) already exists. Hockey probably wouldn’t be the first choice for a lot of people; however, I could see a lot of Iowans quickly becoming fans by default. Sports only? Well, that cuts the candidates down a bit. But in looking through my options, things have surprisingly died down quite a bit in the last week. Early Thoughts On Next Season – This is where a lot of the aforementioned “doomsdayers” have been residing lately. Iowa State Needs A New Televised Sport – Because when the OP starts the thread with “To fill the vast empty black hole between when Prohm loses in the first round of the NCAA tournament (or doesn’t make it at all) and when football starts in September”, you’re gonna have a bad time. Daserop (forums) asks: When you’re going poop, besides Cyclone Fanatic, what sites do you visit? Most of the time, I use my reign on the throne to check my fantasy teams on the ESPN fantasy sports app. But if it’s an off-day for sports, my usual rotation consists of Reddit, Twitter, and Facebook group chats with my friends. cmjh10 (forums) asks: If your five-year-old self suddenly found themselves inhabiting your current body, what would your five-year-old self do first? 5-year-old Kevin lived in Knoxville, Iowa and raced Big Wheels around the driveway imagining he was a sprint car driver. He also dressed up as a race car driver for Halloween that year I believe. Thus, I think the first thing 5-year-old Kevin would do in 26-year-old Kevin’s body is find my current car in the parking lot and take it for a spin. Then again, maybe I’m giving 5-year-old me a little too much credit in the ideas department. It’s possible that I’d just want to take the ol’ grown-up body for a spin on the monkey bars to see how much faster I could do them with arms that are twice as long. The sad part is, in that scenario, 5-year-old Kevin would quickly find out that energy is not an infinite resource as an adult. Especially when you have more weight to tug along in the midsection. Dandy (forums) asks: If you had to pick one person to be the ambassador for the human race to meet aliens who would it be? I’ve narrowed my answer down to two people: Dwayne “The Rock” Johnson or Jason Momoa. First, it would be important to make the ambassador a generally likable person, assuming that aliens have a trait preference system in the ballpark for what we have as humans. The Rock and Jason Momoa are quite possibly two of the most likable people in the world right now because both of them seem grateful for what they have and come from humble roots. Secondly, it would be important to send a human with a fair amount of physical strength, just in case things started to get violent with our intergalactic visitors. Both of those guys know the direction to the gun show if you know what I mean. I’ll admit my two picks aren’t necessarily the best showcase of intelligence for the human race – I just prioritize getting the aliens to like us the most of anything. We wouldn’t want to send a super smart person who is harder to get along with because the second the aliens decide they don’t like that person, they could fire up the ol’ laser beam they have locked onto Earth and vaporize us all. I, for one, would not like to be vaporized. So there you go. I trust The Rock and/or Aquaman to get us on the aliens’ good side. Maybe this just needs to turn into a Hollywood script for a buddy-buddy movie… Please send royalty checks to my apartment, Steven Spielberg. Next WILLIAMS: What is the future of Cyclones.tv?